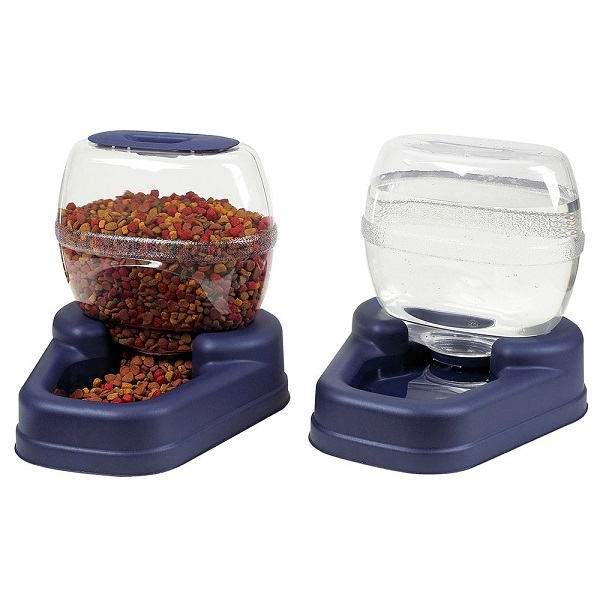 Bergan Petite Gourmet Combo Pack Pet Feeder and Waterer in Blue. The size is 13" x 11.5" x 11.25" each Auto feeding and watering with flair. It's design is meant to match your pet feeding area while bringing ease and simplicity to the whole process, the Elite and Petite feeding and watering units will keep the essentials coming…even when you’re not home.